The pied cockatiel is a mutation of the normal gray cockatiel, also known as the wild type cockatiel. 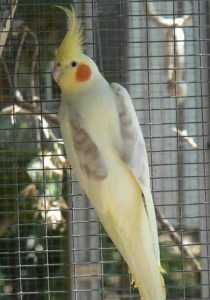 It was bred in San Diego, California by a Mr. D. Putman after decades of attempting to breed a cockatiel mutation. 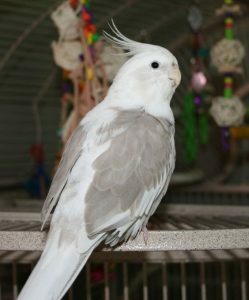 It is one of the most delightful birds to have as a companion and as such has gained a stellar reputation due to its easy availability. 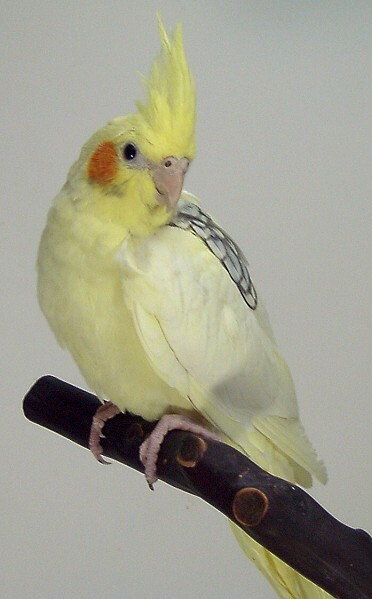 Color Orange patches on the cheeks, light yellow to gray and white feathers. 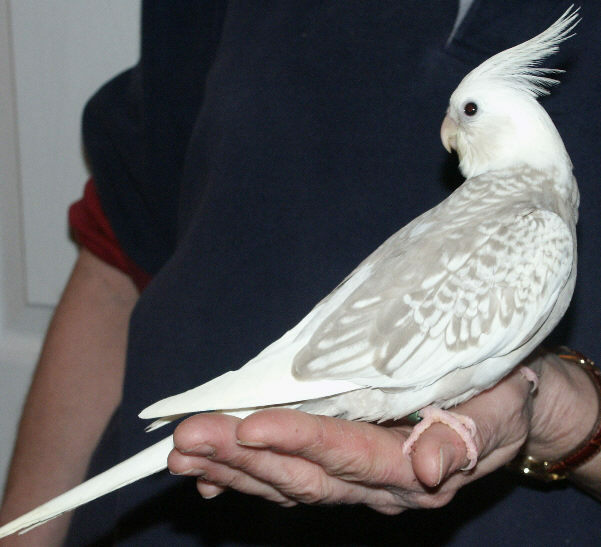 As is the case with all cockatiel mutations, pied cockatiels make wonderful pets because of their comical ways, inquisitive and friendly nature. 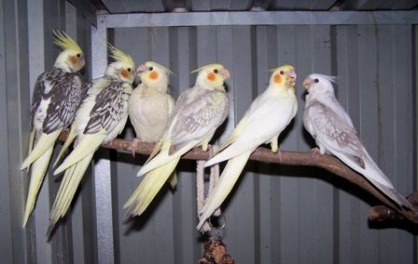 Provide your bird with a spacious cage, as that is a must for cockatiels if it is to be in there for extended periods. Ideal dimensions for the cage should be at least 24”x18”x18”. 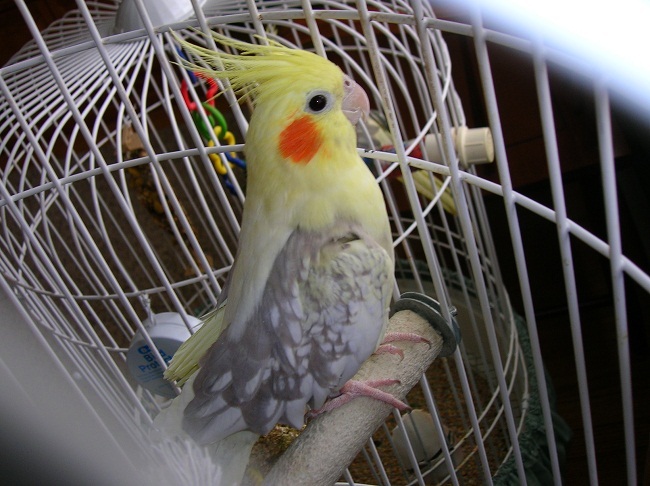 Provide perches for the bird to sit on, and playpens if you can afford one, this can help it to keep itself occupied for hours on end. Average room temperature should be fine for a pied cockatiel. Make sure there are no radical changes in temperature and if so adjust accordingly. Keep it away from drafts. Pied cockatiels are very social birds, be it with their own kind, or with the owner. 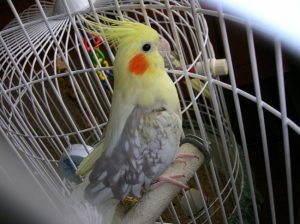 They love to get attention from their owners but are also equally adept at spending time by themselves in their cages. They have very gentle personalities and are perfect pets for somebody who has not had a bird as a pet before. Foods that you can provide your bird with regularly are fruits, vegetables, seeds, nuts, sprouts and pellets. 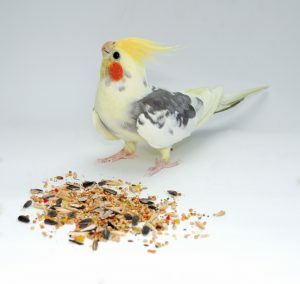 Fresh foods and water are required to be given to the bird on a daily basis. 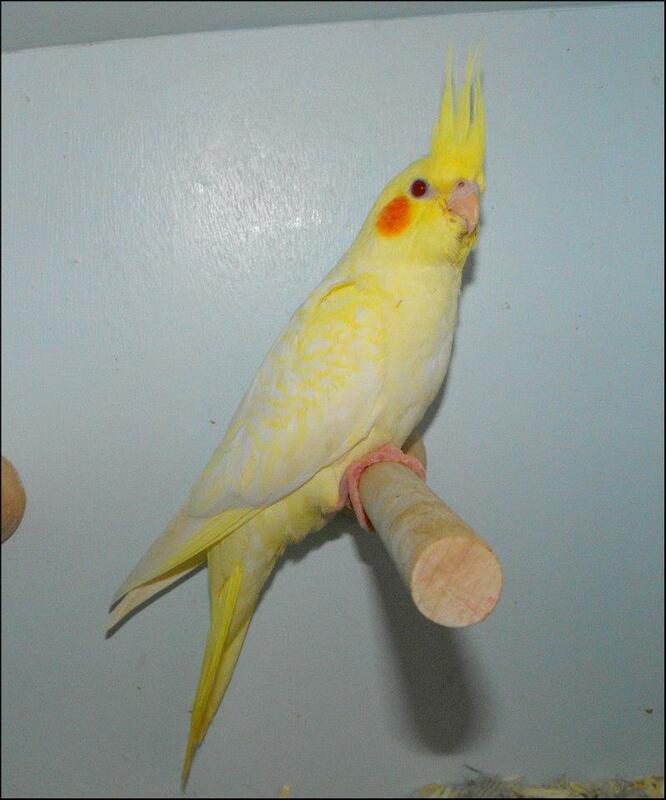 Clean its cage twice a week. 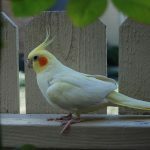 It needs to be bathed at least thrice a week so use a spray mist on it or get it a bird bath. It needs to sleep for at least 8 hours during the night to ensure good health. 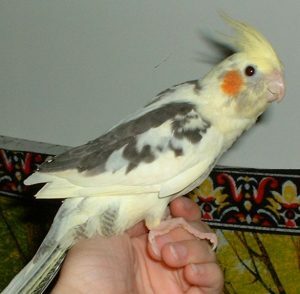 A pied cockatiel is likely to cost around $200. The pied cockatiel is the first mutation of the cockatiel species. There are two loose variations of pied cockatiels, the ‘heavy pied’ and the ‘light pied’ types.